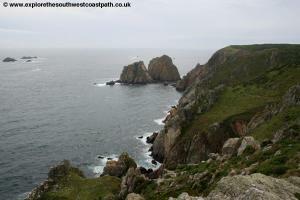 This is a circuit of the coast of Alderney. 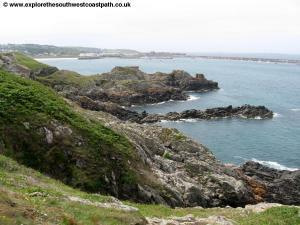 The coast of Alderney is stunning with the west coast of the island being rocky and rugged with the east coast gentler with numerous sandy beaches. 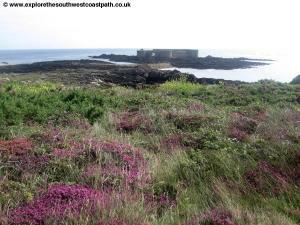 There are also many fascinating coastal forts all around the coast many of which can be explored. 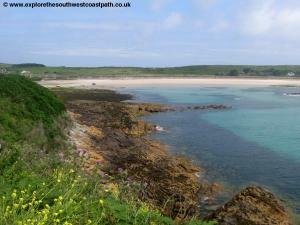 This walk starts from Braye Harbour which is roughly half way along the north coast of the island and only a short walk from the islands capital, St Anne. Most visitors to the island do not bring a car with them (as there is no car ferry) although it is possible to hire a car if desired although the size of the island means it is not neccessary. 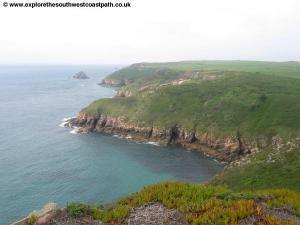 There is no regular transport (although the island does have a small railway it runs only a couple of trains on weekend afternoons) although everywhere is likely close enough to walk and this walk could easily be started from any point on the coast of the island. To reach Alderney the most common route is to fly with the island having several daily flights from Guernsey and Southampton operated by the island airline, Aurigny Air Services. For details, see below. 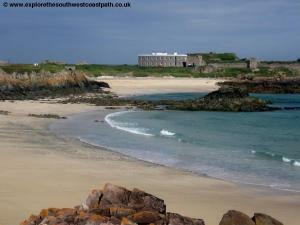 Despite it's small size Alderney has a good range of accommodation from luxury hotel to camping. 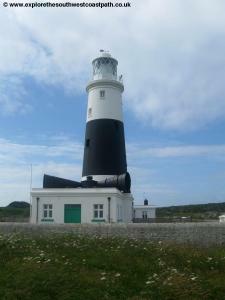 The Visit Alderney website is the best place for detail of all the types of accommodation that can be found on the island. 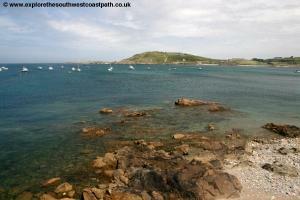 Note that it is strongly advised to book before arriving on the island. 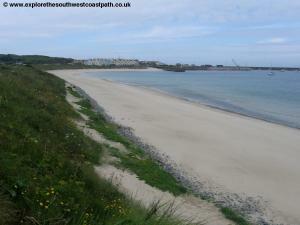 The walk begins from Braye beach but this being a circuit of the island you could start the walk from any convenient point on the coast. 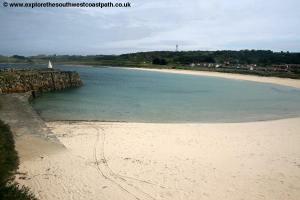 Braye harbour has a small supermarket for refreshments. 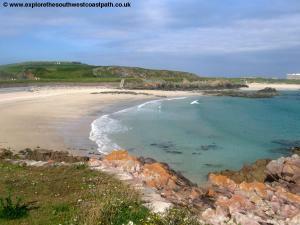 From the road on Braye Harbour, where there is a little jetty, head inland and take the right most fork behind the houses. On reaching the larger road, Route de Crabby, take this road. 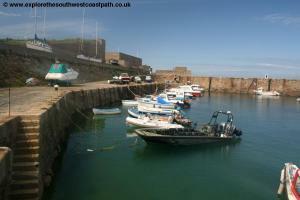 It is possible to turn right instead and head out onto the harbour and the huge breakwater where there is also Fort Grosnez, but this fort is not accessible to the public. 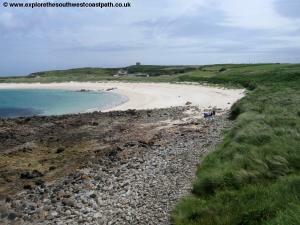 Just round from the harbour you come to the first beach, Crabby Bay, a small sandy beach with what is likely and old quarry behind the beach. 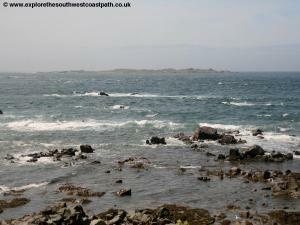 Follow the road behind this beach, passing Fort Doyle and continue into Saline Bay. 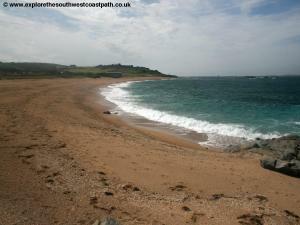 This is a large sandy beach, with houses along the back of the eastern end of the beach and there is also a German Anti Tank wall built along the back of the beach. 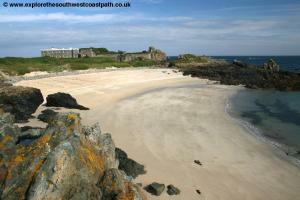 Keep on the minor road along the back of the beach as you soon pass Fort Tourgis at the headland. Out to sea you can see the rocks of Grosse Rock. 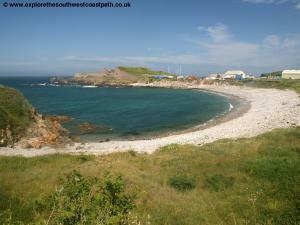 Rounding the bay you can see the fort of Fort Clonque on a little causeway at the south end of the beach whilst the changing nature of the coast is clear to see, as the coast now becomes rugged and rocky, with high cliffs at the west of the beach. 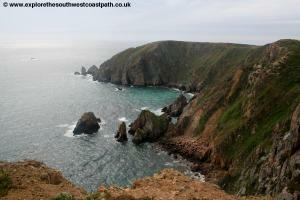 The coastal scenery is impressive here, with the high and rocky cliffs often being battered by the Atlantic waves. 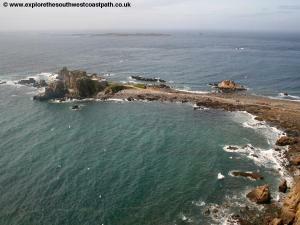 Do not take the causeway out to the fort, as it is a private property. 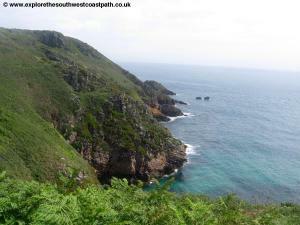 Instead at the end of the road, take the zig-zag footpath that goes up the cliff top and follow this as it climbs and then keep on the track to reach the road. 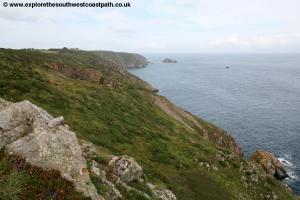 From here you have views out to sea and to the uninhabited island of Burhou (which can be visited outside of the bird nesting season). 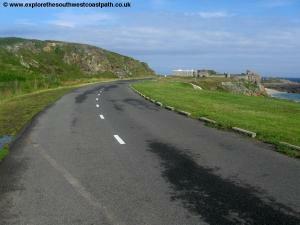 Turn right on the road and follow this out to it's end where there are some remains of military forts. 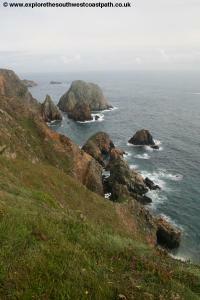 The view out to sea here is especially spectacular with the rocks of Les Etacs just off short, a huge Gannet colony, with the rocks often almost entirely covered with the birds. 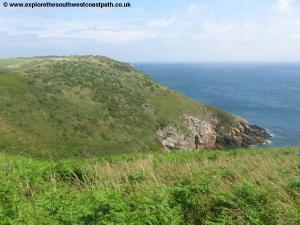 This path is a dead-end so re-trace your steps back along the track until you can fork left on another track. 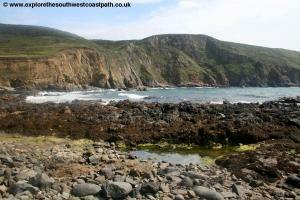 Shortly off this track is a footpath on the right, which leads to Telegraph Bay, a spectacular and rocky beach. 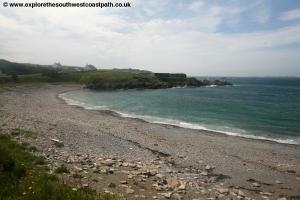 There is a path down to the beach but it is closed due to erosion so do not attempt to climb down. 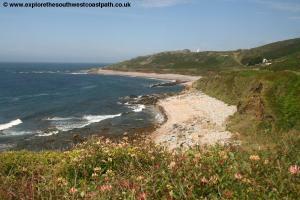 Instead continue on the path along the coast heading east. 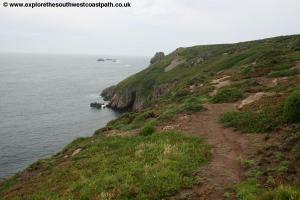 For the next couple of miles there is generally a coast path. 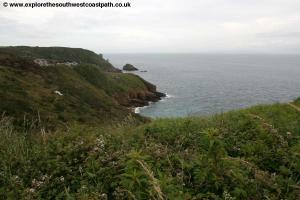 This is initially signed coastal footpath (and occasionally â€œscenic route to St Anneâ€. 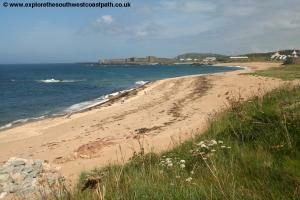 Continue until you are forced inland by the access road to the islands rubbish dump. 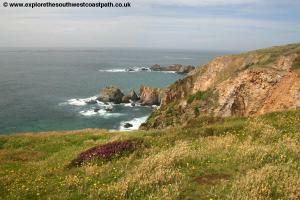 Once round this you continue on the coastal footpath, signed for Longis Bay. 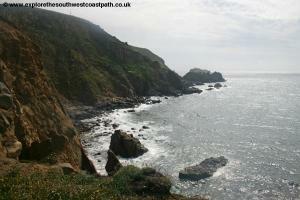 Continue on the coastal apth until it heads a little away from the coast and takes you to Essex Castle. 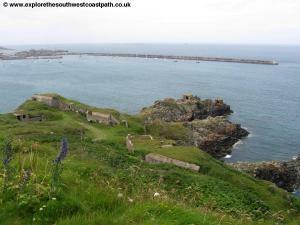 This is a private fort, with a row of cottages that are residential. On reaching the road here follow it past the castle on the left and follow the road down hill, passing a garden centre and coming to a T-junction. Here turn right and then follow the road behind Longs Bay. 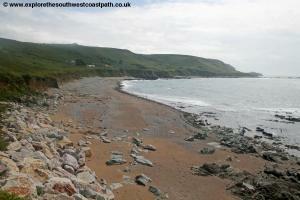 This is a good rocky and sand beach. 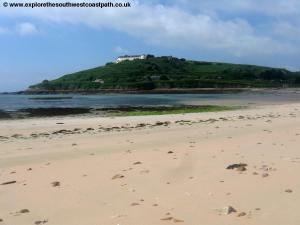 At the eastern end of the beach is a fort (also known as Raz Island), which is again private. 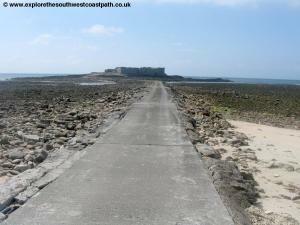 Follow the road which goes round the back of the beach and continuie as it rounds the east coast of the island, now flatter and less rugged than previously. 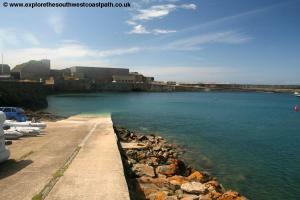 Soon you come to another fort, Fort Houmet which is in ruins and accessible over the rocks. 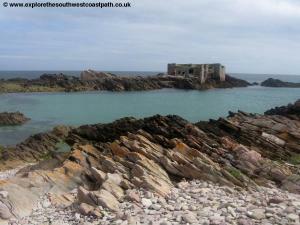 Continue on the coastal road which goes on the island side of Fort Quesnard, now converted to a private house. 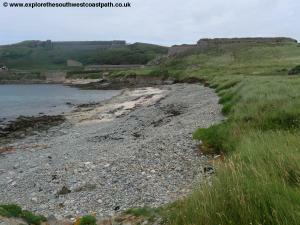 Continue round the rocky Cats Bay, where there is another fort, Fort Les Homeaux Florains, another ruined fort. 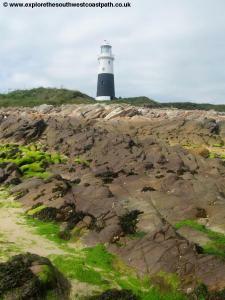 Just past Cats Bay you pass the islands lighthouse, this one with a black stripe rather than the more common red you find on the main land. 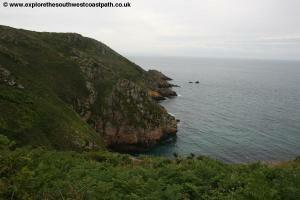 Continue on the road round another fort and pass an old quarry on the left. 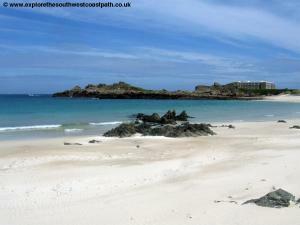 This brings you to Corblets Bay, a beautiful sandy beach. 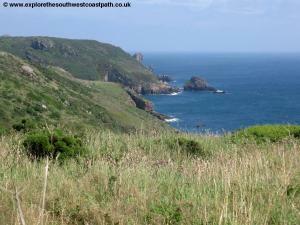 Continue on the road out to the headland, which leads to Chateau L'Etoc, know converted to residentices. Just beyond this is another wonderful beach, Saye Baye. 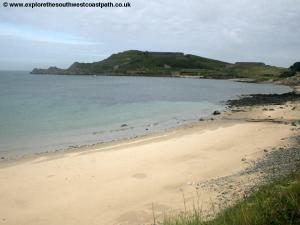 This a sheltered sandy bay backed by dunes. 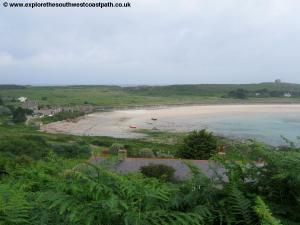 From Saye Beach head inland along the road passing the campsite and on reaching the junction turn right and then right again at the war memorial (which is shaped a little like a boat). Continue on this â€œmainâ€ road and ignore the road out to the large Fort Albert on the right, which is private. 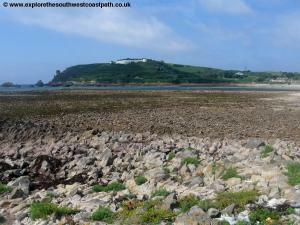 Pass the football ground on the right and then continue along Rue de Beaumont to reach the back of Bray Bay and beach. 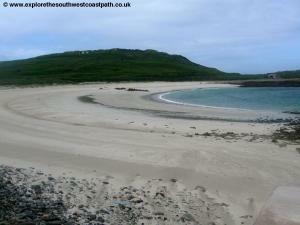 This is the largest beach on the island and is rocky to the east but sandy at the western end. 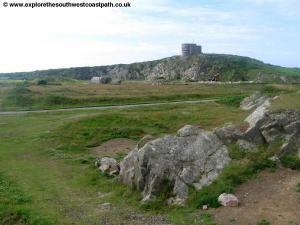 You can now follow the road initially and the grassy path over Braye Common to reach Braye Harbour, where the walk ends. 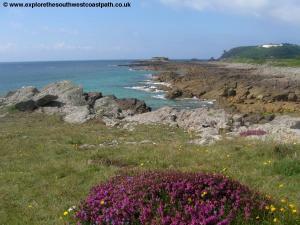 This is a circular walk so there is no need for transport back to the start. 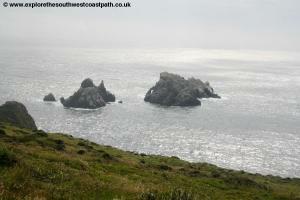 The UK Ordnance Survey do not produce their own maps of the Channel Islands. However on arriving at the island you can find a free map either at the airport or at the visitor information centre in St Anne. This covers the roads and some footpaths. 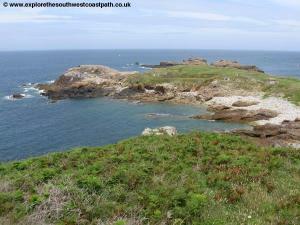 A more detailed map covering the Bailiwick of Guernsey, which includes Alderney and shows both footpaths and roads. 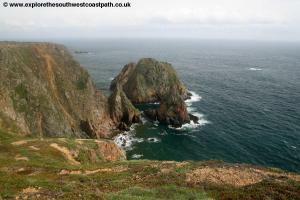 This can be purchased from the visitor information centre but is not easily available outside of the Channel Islands.